A glass room is the epitome of an open, beautifully natural, yet safe environment. An increasing number of people are opting for glass enclosures or rooms in their homes and offices as opposed to traditional partitions that appear to cut the space and make facilities look small and dingy. This trend is rapidly picking up as more are realising the advantages of glassed spaces. The primary reason for this choice is the experience of being outdoors while feeling protected from external harshness – Ideal havens of light and space. Glass rooms are constructed according to the architectural design of the original building. In the home environment, many choose glass rooms for special plant and foliage growth. Others create a recreation or play area amongst scenic surroundings. In the office, cabins can be added by using glass partitions. These offer the premises a more airy and spacious feel. Glass rooms are a clever way of adding to the size and square footage of one’s home. Apart from space addition, glass rooms remove the distinct division between the indoor and outside environment. Residential glass rooms are normally made of glass walls from ceiling to floor. These are supported by strong metal or wooden framing. This offers a sturdy framework for the structure. The actual glass used for the walls is of the toughest quality (e.g. safety glass) to be able to withstand the elements. Sometimes a combination of materials can be used where the lower half of the wall can be made of brick while the top is of high quality glass. The walls of all glass rooms especially those exposed to the outside are heavily insulated to ensure the room can be used all year round, in the most extreme weather conditions. 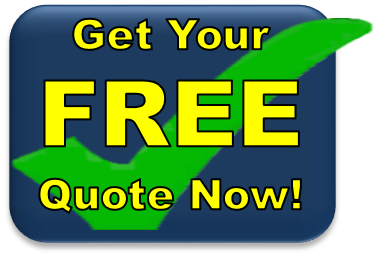 Strong framework, supporting material such as wood, metal and brick, along with adequate insulation, ensure safe and durable construction. Common usage of glass in the office space, involves using sturdy glass varieties as dividers. They add to the aesthetic appeal while being sound proof at the same time. This helps to limit the amount of lighting required since light travels through while sound is restricted. Glass dividers are also often used as security measures; especially in businesses where there are common walk-ins and deliveries. 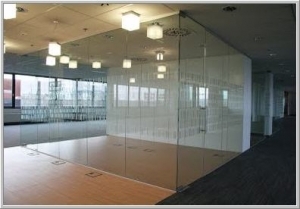 The range of glass being wide, various types can be used for specific purposes e.g. where privacy is required, the glass not only needs to be strong but also tinted. In industrial areas, glass confines noise and fumes, while the area is visible to those outside, especially seniors and top management. In restaurants and night clubs, glass partitions can easily separate various areas dedicated to dining, drinks, etc. 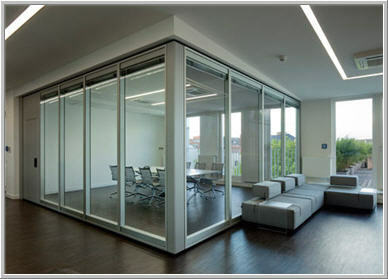 Glass partitions are also ideal to segregate between smoking and non-smoking zones, these may be purchased as portable folding screens or can be installed as permanent fixtures. We at HouseOfGlass have helped many offices & homes in Singapore to setup glass rooms for a variety of applications ranging from meeting rooms to display enclosures. 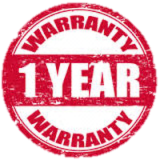 We guarantee our installations for sturdiness and many years of wear & tear. In addition, the variety of options available with us is limitless including the various kinds of glass material, finishes, features and permutations.